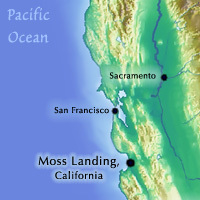 MOSS LANDING, CALIFORNIA– In early July, 2008, I traveled to Saint Petersburg, Russia, to join thousands of other polar scientists for the SCAR (Scientific Committee on Antarctic Research) Open Science Conference. SCAR is an inter-disciplinary committee responsible for initiating, developing and coordinating international scientific research in the Antarctic region and understanding its effect on the greater Earth system. This is the last in a series of dispatches in which I share the latest polar science I learned from SCAR. The morning of July 11th was the culmination of the conference: I finally presented my Antarctic toothfish work. 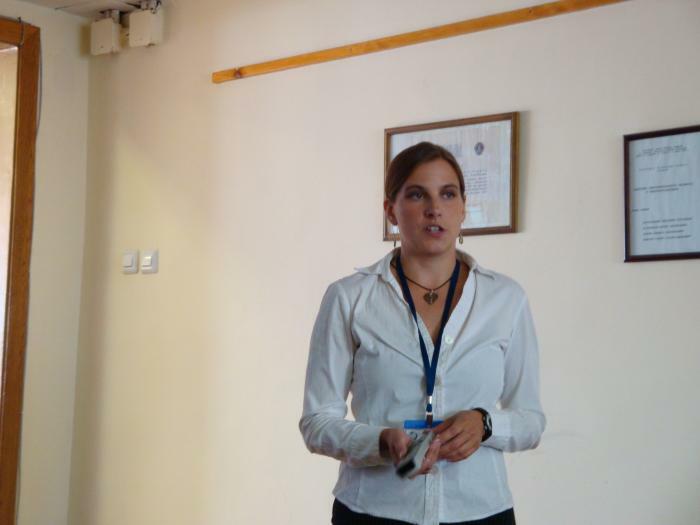 Presenting at a conference is not about being the star of the show; it’s about our responsibility as scientists to communicate our work to our colleagues, the public, and in my case, to resource managers. Presenting my Antarctic toothfish work at SCAR. I came upon Antarctic toothfish four years ago when I started graduate school. I had been interested in fisheries management for years and was looking for a way I could contribute to this global problem. Antarctic toothfish erupted onto the fishery scene in the last ten years because of declines in its cousin fish, Patagonian toothfish. Both species are more commonly known on the market as the popular and expensive Chilean Sea Bass. 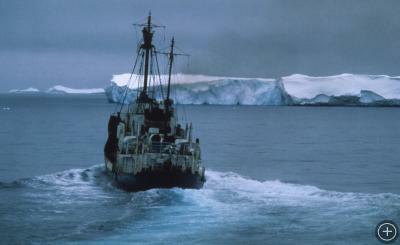 Prior to my work, I didn’t know much about Antarctic fisheries. Like most people, I couldn’t imagine why fishermen would travel so far for fish. But world fishery trends hold the answer. 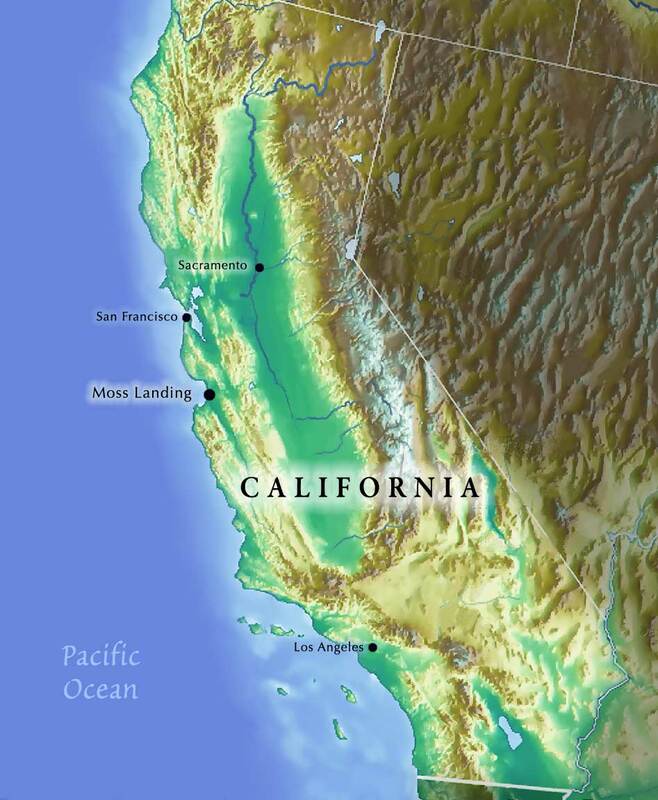 Recent Food and Agricultural Organization statistics state that 97 percent of our world fisheries are fully exploited, overfished or collapsed, leaving a mere 3 percent unexplored, pushing fishermen into remote places like Antarctica. You can imagine how hard it is to manage fisheries in a place like Antarctica, but in 1982 an international group came together to do just this. They formed the Convention for the Conservation of Antarctic Marine Living Resources and have been managing Antarctic wildlife every since. My study met a request by CCAMLR for more life history information about Antarctic toothfish, with the hopes of sustainable management for the growing fishery. I stood before my colleagues at SCAR and presented what I had learned about Antarctic toothfish, including how they grow slowly and live a long time — close to 40 years. Many fish that share these characteristics have been overharvested quickly because they can’t grow and reproduce fast enough to keep up with demands of the fishery. I discussed past trends and future concerns. To my delight, some of the folks from CCAMLR were there in the audience. 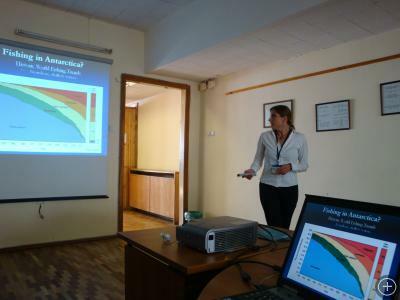 After the talk, we continued to discuss toothfish management. Is it even possible to have a sustainable toothfish fishery? And if so, what would it take? The first step is to apply the research to management. 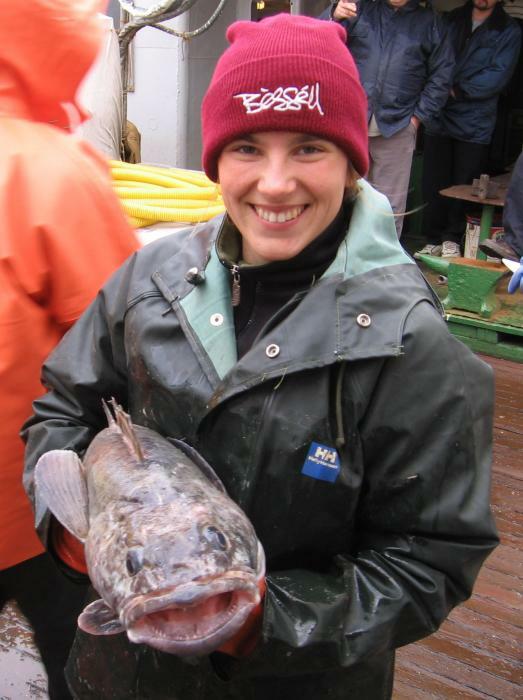 With their help, this toothfish work is now being presented at the yearly CCAMLR management meeting in Hobart, Australia, and all my years of toiling will not go to waste. The conference ended on a high note. I had an amazing experience partaking in this international collaboration of scientists, all of us working together to find solutions to global problems and dedicated to learning more about our poles. Thanks for joining me and keep up with Ice Stories as we collectively share our work with you in the second half of International Polar Year. How big do the fish get there and how much do they weigh? The toothfish can grow up to 2 meters in length and over 100 kg. I believe they mostly eat other smaller fish and some krill. Are there any applications of the glycoproteins that give this fish its “anti-freeze” ability ? Has any attempt been made to synthesize it artificially ?? Please feel free to email me directly if you would like some help on your Antarctic fish project. Antarctic fisheries is something I care a lot about! Visit my website to get direct contact information (www.cassandrabrooks.com). Sorry for the delay in responding! Lots of people do study the fishes antifreeze ability. See this NSF website for some good information (http://www.nsf.gov/pubs/1996/nstc96rp/sb3.htm). This report is from 1996, so they have likely more recent research you can look up for how fish antifreeze proteins are being used. If you do a quick google search on fish antifreeze proteins or uses for fish antifreeze proteins you should find some later stuff. Also, check out this PDF on the use of fish antifreeze proteins in ice cream (http://www.themilkweed.com/Feature_06_Dec_1.pdf)! And wikipedia also has a whole page on this topic (http://en.wikipedia.org/wiki/Antifreeze_protein). There is a lot of stuff out there.